First of all, apologies for the lack of content on the website. Being as it’s been the off season, we haven’t had much to update you on really. But that’s about the change…. 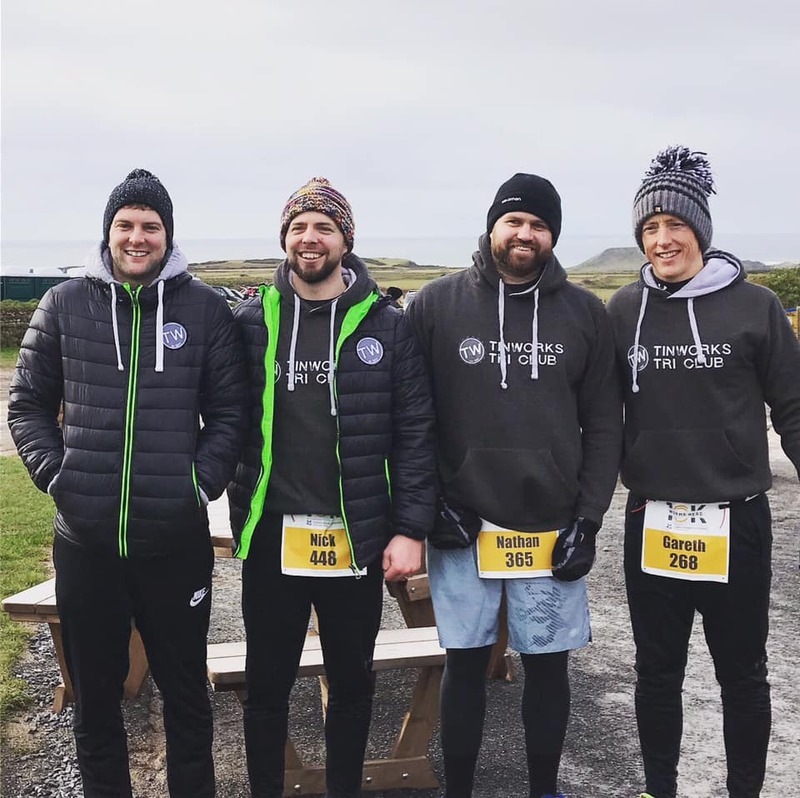 On Sunday 3rd February on a cold and rainy morning a few of the Tinworks boys ventured down to take part in the first ever Worms Head 10km along with another 400 runners. 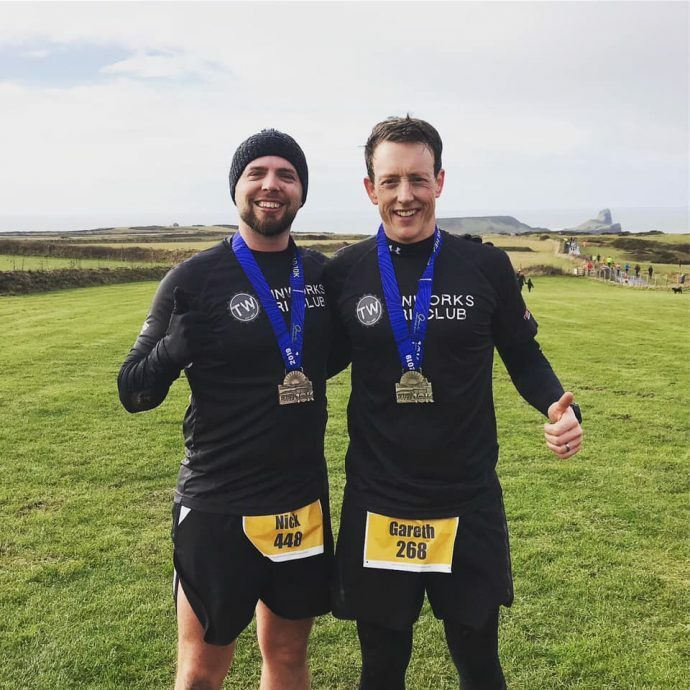 It’s such a great location, and we are so lucky to live near the Gower, so this race was a bit of a no brainer for a few of us who entered. As mentioned above, it was a miserable morning, cold and windy, but the scenery and location made it bearable. The course was a 10km run on road, gravell and trail (we’ll come onto that later). It was a fast start, down towards Worms Head itself, then back up towards Rhossili and then on the trail over towards Llangennith. 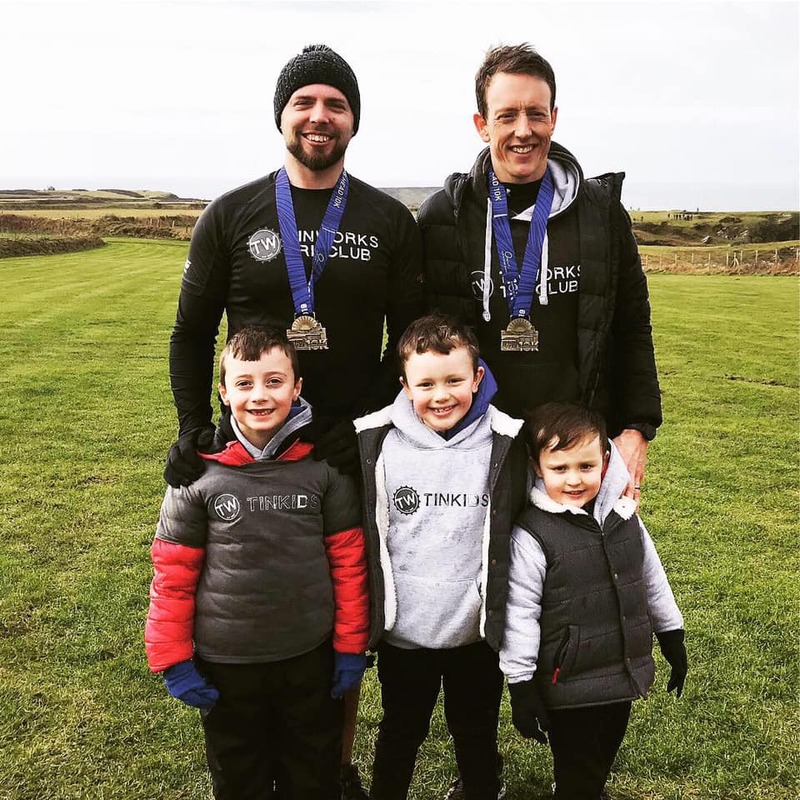 The run from Rhossili to Llangennith was horrendous, puddles as deep as your knees, mud which was more like an ice rink and freezing cold wind and rain battering you. Nick managed to fall 4 times, and Gareth even managed to lose his shoe for a bit as it got stuck in a muddy puddle. If that little bit of the run wasn’t bad enough, we then turned the corner when we got over to the caravan site and we were hit with probably the steepest mountain in the Gower. The legs were sapped already after the run over so everyone was finding it hard to climb. I’m not sure if the front guys ran up it, but everyone who was around us were walking up it. It was a tough, energy sapping walk to the top. When we got there, we though, ‘happy days’ all downhill from here. Oh, boy were we wrong. It was an up and down 2 miles, the wind was even worse at the top and blowing straight into us. There was also a load of snow on the top so running conditions were a bit of a challenge. We finally made it to the downhill section, oh man, was it tough. It was like ice skating. We couldn’t really stop as we would just keep sliding, the only thing for it was to go all in and hope for the best. Once we got down off the mountain, it was another run down to Worms Head and back up towards the finish line. It was a brutal race, but I loved every minute of it!! 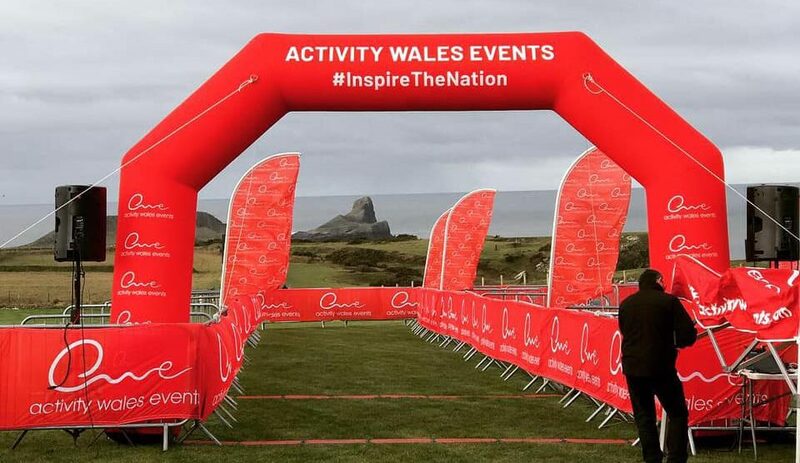 A huge thanks to Activity Wales for putting on such a great event and thanks to all the supporters who braved the elements to cheer everyone on. Take a look at the video below to get an idea of what the race was like. Nick also managed to make the cut, you can see his back at 55 seconds, ha ha.